This important Chinese festival has been celebrated for centuries and marks the start of the Chinese calendar. Also known as the Spring Festival, the Chinese New Year attracts people from all over the world on winter China holidays. The 19th February 2015 marks the Chinese New Year and the start of the Year of the Sheep, as illustrated in this previous infographic. The Shēngxiào, or Chinese zodiac as it is known in English, derives from astrology where each animal is attributed to a year in a 12-year mathematical cycle. While the sheep is seen as a slightly lesser sign than many of its other counterparts in the ‘circle of animals’ as a result of its assumed docile nature, there will be much celebration in the country as China welcomes in the New Year. Travel would appear to be at the forefront of Chinese residents’ minds, with an expected 2.8bn estimated trips set to take place of the 40-day period of the Spring Festival, as reported in this previous article, in order for people to return home to their families. Chinese newspapers are now publishing stories of how newly built infrastructure is making this even easier for workers to get home to their families at this time of tradition, as well as making travel easier for visitors on a China New Year tour. 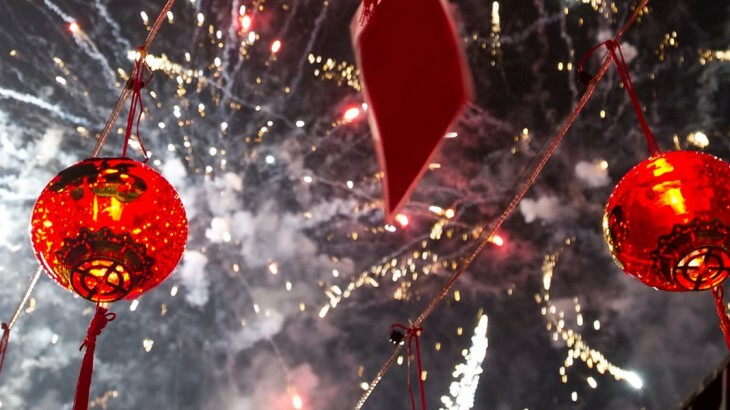 China’s traditions, such as the events of the Spring Festival, and customs, including giving loved ones red envelopes (hóngbāo) and eating dumplings, at this time, are among many of the reasons why westerners love to visit China during this period. Their intrigue over the use and importance of feng shui and astrology to even businesses is one that is still very much alive in contem porary China and further fuels outsiders’ interest in Chinese customs and beliefs, with tours that incorporate experiences of Kung Fu Monks, the Grand Buddha and Terracotta Warriors still among the most popular types of excursions. Book a tour around China with the UK’s leading China Experts, Wendy Wu Tours. Our award winning escorted, fully inclusive China tours visit all the major sights of China for an unforgettable holiday.